Going off of ESPN’s Week 5 Power Rankings, here is my 1st quarter NFL season recap. 1. Colts (4-0) Marvin Harrison Who? There is a reason why Peyton is the face of the NFL. Hardest working player in all of sports. Family Reunion Feb. 7? 2. G-Men (4-0) Chalk Tony Romo up for 1 win. Health is the concern for this team. Cowboys blew their chances at competing for the division. Eli’s injury could linger if not given rest. Turning into his brother right in front of our eyes. 3. Vikes (4-0) Note to Self: When 40 years old, buy wrangler jeans and wear them 24/7. Favre is playin his old balls off but some serious tests ahead. 4-0 with 3 gimme games left. Pound it with AP and stay healthy and they walk into the playoffs. When in doubt run the Wrangler Fade route. 4. Saints (4-0) The offense have been solid for a while. Threats all over the field and Brees is playing with a fire in his eyes. Defense showed up to play this season. Darren Sharper biggest team changing acquisition in the NFL this year. Immediate impact, leadership and experience to boot. But can they survive the playoffs?? 5. J-E-T-S Jets Jets Jets (3-1) Surprise Surprise. The Jets can play…for now. Sanchez showed he was a rookie this past week. My thoughts are that he’s not done acting like a rookie. Defense will keep them in plenty of games but defensive schemes will be designed to confuse this inexperienced wonder boy. NY will compete for wild card, Pats will run away with the division. 6. Pats (3-1) Mr. Gisele Bundchen is back. They needed to lose to the Jets to realize they wont walk back into the rhythm of 2007. Pats will continue to gain momentum. Welker and Moss are both good for 90+ receptions this year. Real threat for AFC Champions. 7. Dirty Birds (3-1) With the Steelers hiccups, Ravens are out to claim the AFC North. They are playing like it too. Hanging in the game against Brady-AT HOME-tough sh*t. Baltimore is LEGIT. 8. Broncos (4-0) Too much credit, too early. Romo handed them a win and a fluke bounce got them past Cinci. Were outplayed in both games. Then the Browns and Raiders?? What a JOKE. Season will end up in a Brokeback Mountian for these buckin Broncos. WILL LOSE THE NEXT 4 GAMES!!! Bolts take the division and Denver has no chance of claiming the wild card. 9. Falcons (2-1) Tony Gonzalez is the missing link for their young quarterback. Roddy White has big play written all over him. Will be hard to take the division away from the Saints, but my prediction for Wild Card. 10. Eagles (2-1) McNabb and Westbrook aren’t young anymore and can’t fight off these injuries. Vick can be a weapon; Andy Reid needs to turn him loose. G-MEN and Cowboys will end up on top of this division. 11. Bengals (3-1) Child Please. Kiss The Baby. Shut the Front Door. HBO helped Ochocinco get his camera time before the season started. Carson Palmer is showing how much of a leader he is. Esteban is putting his time in the film room and backing up his antics, but give Carson some credit for that as a full-time babysitter and pushing him to put in the extra time. This team is not quite there. Just a few missing pieces. Two more seasons and they can compete. Showing their potential this season. 12. 49ers (3-1) If Michael Crabtree wasn’t a greedy douche, a 4-0 record is possible. Singletary can pull his pants down all he wants. This team is making the playoffs. I hope Crabtree’s contract includes hooked on phonics and a definition of humble. Holding out for months because of millions and millions of dollars and being greedy is not being humble… T.O. jr? Shut the front door Crabtree. 13. Pack Attack (2-2) Brett Favre Jr. looks comfortable running that offense. Putting up some serious points thus far. 14. Daaaa Bears (3-1) OVER RATED. Sh*ttsburgh let that game slip away. Brett Favre Jr. took care of business then they beat two scrub teams. 21 Points in the first half to the LIONS! OVER RATED. Have a few cupcake games but won’t amount to anything this season. 15. Steelers (2-2) 4th quarter=Sh*ttsbugh. Can be a major problem with this tough divison. So how bout you stop d*cking around with WWE and learn how to close out games and cover the f*cking spread. 16. Bolts (2-2) Sproles is a threat to take it to the house every time he touches the ball. But where’s LT??? SD will need some production from here to turn this season around. Mediocre won’t win the AFC. 17. Cboys (2-2) The curse of Jessica Simpson. Romo gave 2 games away already. Expect him to do it atleast 4 more times like a d*ck. Roy Williams found out that he was able to catch a ball with his hands and was as shocked as I was. G-Men will take the divison. Thunder (Barber) and Lightning (Fjones) will win the wild card. Hopefully Tony Romo can find a way to get injured before the playoffs start. Dear Bobby Carpenter, you are the worst football player on the planet. You were a 1st round pick, you have 60 career tackles including special teams. David Akers has 84 career tackles. You are a B*tch. Stop bein a p*ssy and hit somebody already. 18. Jags (2-2) MoJo Baby. Tons of fight in this team. Need to keep it up to take the wild card. 19. Cards (1-3) Dear Kurt Warner, go buy Wrangler jeans and a buy a tv from Sears. 49ers steal the division this year. 20. Texans (2-2) Much better team than they are getting credit for. 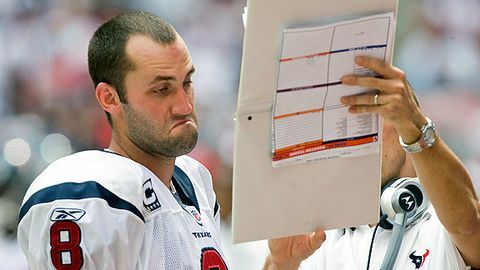 Schaub does look like he rode the short bus all his life but he is a winner. Andre Johnson is the 2nd best WR in the league and will continue to put up numbers. 21. Phins (1-3) GO BLUE. Henne is a fighter but they might have the toughest schedule in the NFL. Smoke more weed Ricky. Smoke more weed. 22. Skins (2-2) Jcambell is a scrub. Beat 2 of the worst in the league. Change at QB is overdue. Cooley is the f*ckin man and his wife is a total smoooooooooookefaaaaaaaaaaaaaaaace. Only reason to watch a Skins game. 23. Bills (1-3) T.O. needs to up his sh*t talk soon before this team completely dies. No supporting cast to help him back up his words. 24. SeaHacks (1-3) Tj nice move this offseason. Way to be a cocky d*ck and run for the money. Career will die in Seattle. 25. Titans (0-4) 0-4. 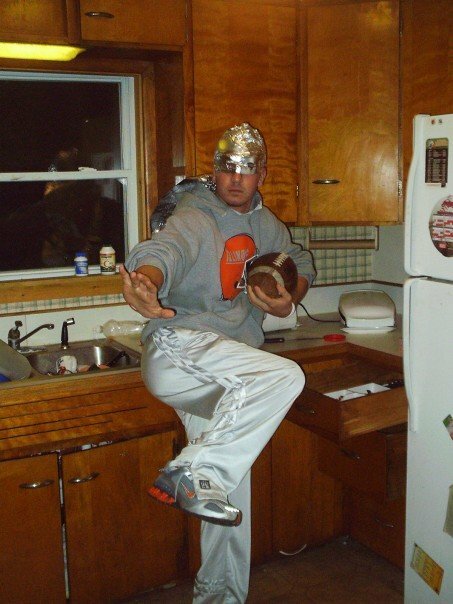 What are you the browns? Good chance to lose the next 3. I’d say start Vince Young but he’s a retard. Colt McCoy? 26. Panthers (0-3) Tough start against tough teams. Delhomme might be sent home after this season. Look for them to draft a QB. Will win the next 3 games. 27. Lions (1-3) Broke a 19 game losing streak. Calvin Johnson is the best WR in the NFL. Pettigrew is a beast. Stafford looks how a rookie should look. Will be a competitor in a few years. 28. Raiders (1-3) Dear Al Davis, die so this organization has a chance. Garcia is a winner, not a teacher. Should be the starter, would have had a decent season. Russell is just collecting huge paychecks. 29. Brownies (0-4) What a turd of a football team. Showed signs of life against Cinci but they always do. Mangini turned this team into a sideshow. Brownie fans are already begging for basketball season to start. Braylon might be able to win a fight but this as a football team they look like total sh*t. My advice…Let Cribbs run the wildcat. Can’t exactly do any worse. 30. Chiefs (0-4) Maybe Larry Johnson should beat up his girlfriend again to jump start this mess of a season. 31. Buccs (0-4) Garbage. Almost making the Browns look good. Tough schedule remaining. 2 wins AT BEST. While I am venting about some disappointing teams and lost bets. Dear Stephen A. Smith, stop attempting to tweet or use any other form of communication to the public about football or baseball comments. I do not know how you have a job. You know basketball THAT IS IT. Yet people in the basketball world hate you because you are so annoying. SHUT THE FRONT DOOR.